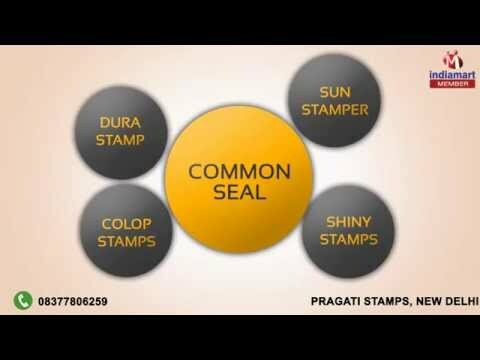 Welcome to Pragati Stamps, established in the year 1993, as a manufacturer, distributor and supplier of the finest range of Stamp and Seals. Our offered products are Ink Stamp, Common Seal and Shiny Stamps. Our products as per the industry standard of quality. We have been continuously delivering unmatched range of products to our clients based on their requirements and specifications. By using advanced machines, our professionals engased in these products for conformity with the industry set standards. Available with us at industry leading prices, these products are highly demanded in the market. We have some of the reputed clients like Cipa Limited, Nun Hems India and Green Infra. We are prominent distributor of Shiny Stamp, Colop Stamp and Sun Stamper.